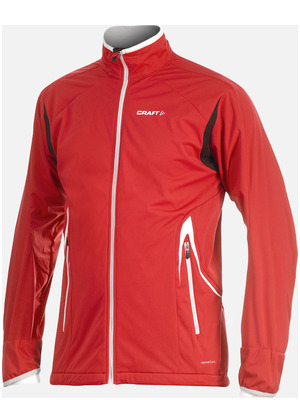 A soft, laminated, elastic and windproof jacket. Super-elastic flex fabric at shoulder inserts and back. Two zippered front pockets. Soft, comfortable fleece inside collar. Innercuffs.